Ernesto Wenceslao said military police tortured him 50 years ago and his body never quite healed. He raised his pink shirt to offer what he described as evidence of the crime: A rib jutting out at an odd angle. 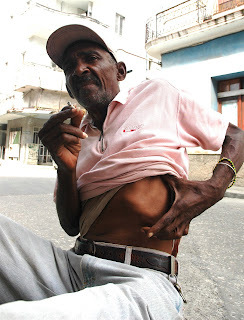 “They tied me to a bed and tried to pull out one of my ribs, just like you’d yank a tooth,” said the 73-year-old, sitting outside near the neighborhood shoeshine man in Centro Habana. Teen-agers walked past, paying little attention to Wenceslao’s description of his ordeal during the rule of dictator Fulgencio Batista. But Wenceslao re-lived the moment as if it were yesterday. 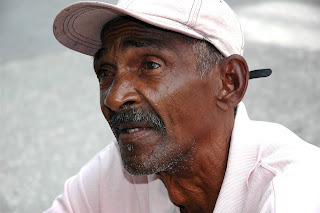 Wenceslao, a native of Guantanamo in eastern Cuba, said he was 17 when he joined the revolution and fought with Raul Castro, now president of Cuba. 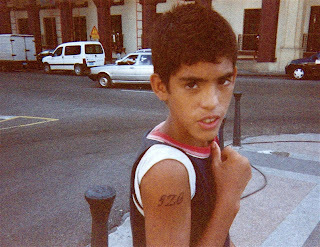 "Raul was 17," Wenceslao said. "He was a boy and he was skinny." Wenceslao's brother, Julio, nicknamed "Chiton," was also a fighter, but was captured in 1958. Shortly afterward, Wenceslao said military police came for him, took him to a government building, tied him to a bed and began to torture him. "They interrogated me about my brother. I didn't know it then, but he was already dead," Wenceslao said. The worst moment, he said, came when a military policeman grabbed a horseshoe nail puller and began tugging on one of his ribs. It was about 3 a.m. He doubted he'd see sunrise. Then he heard the voice of a lawyer, a friend of his father's, and several others. Wenceslao said he began to yell and the lawyer came to his rescue and got him released. A half century later, Wenceslao said he still believes in the Cuban revolution, despite his country's severe economic troubles and other woes. "The revolution is the greatest thing ever," he told me. 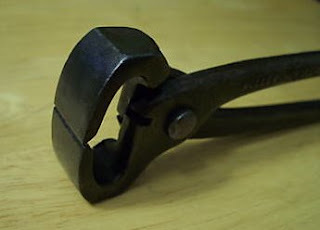 Later I checked Google and swiped a photo of a horseshoe nail puller. It is below. Ouch. LA Times: U.S. embargo against Cuba "useless"
It used to look like a baseball score, but it's looking more and more like football. 17-0. Two touchdowns, two extra points and a field goal. By one measure, that's the score in the diplomatic fight over U.S. sanctions against Cuba. For the 17th time, the United Nations General Assembly on Wednesday voted to condemn U.S. trade sanctions against Cuba, AFP reported here. The vote was 185 to 3 with only the U.S., Israel and Palau refusing to condemn what Cuba describes as an economic and political "blockade." Cuba's Foreign Ministry considers the 46-year-old "blockade" to be "the main obstacle to the economic and social development of Cuba and a flagrant violation of the human rights of an entire nation." 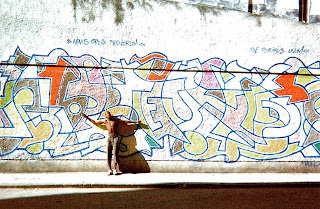 The U.S. pretty much ignores the U.N.'s non-binding resolution, as well it should, according to Phil Peters, writing in his Cuban Triangle blog. But there are a few things we can learn from the vote, he said. One is that "Cuba knows how to do multilateral diplomacy." Another is that "if a new U.S. Administration decides that it wants to work more closely with allies and other countries on the Cuba issue, U.S. sanctions...are an obstacle." The presidential election offers a rare opportunity for change. John McCain favors business as usual with Cuba, but Barack Obama believes that Cuban Americans should have unrestricted rights to travel to the island and send remittances. 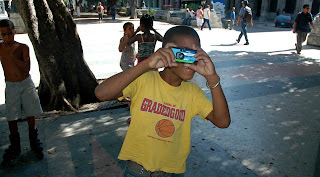 Several of the young photographers and their friends hang out along Paseo del Prado. 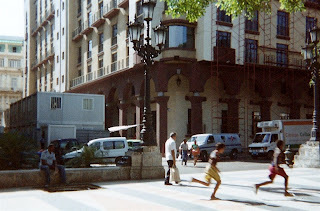 A street corner near where several of the young photographers live. 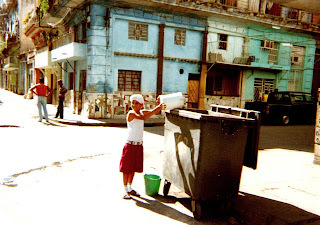 While in Cuba earlier this year, I handed out disposable cameras to Cuban children on the street and asked them to take pictures of their world. 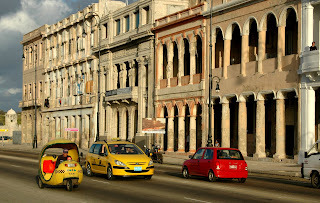 I wanted to see Havana from their point of view. Here's how I got started: I spotted three children playing marbles on the street and explained the idea to them. They shoved their marbles into their pockets and were eager to give photography a try. So I passed out the cameras and explained how they worked. The children ran down the block, around a corner and I quickly lost sight of them. I wasn't sure if all of them would come back or not. But they did. They used up the film in the cameras and returned them to me. More children gathered around at that point, wondering what was going on. So I reached into my backpack and passed out more cameras. I think I started with a dozen cameras or so. 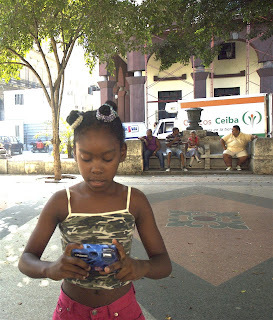 The children captured images on seven of them and I gave away the other five cameras. 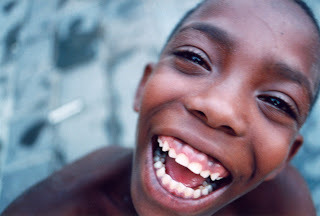 One enterprising boy shot all the pictures on his camera, then peeled the paper off the plastic camera so he could salvage the batteries inside. Smart kid. Another child grabbed a camera I passed out, turned around and fired off shots as quickly as she could. Pop, pop, pop, pop. Then she turned to me and exclaimed, "I'm done! I'm done! Can I have some candy?" Well, I don't blame her. I was handing out treats to the budding photographers. But I wouldn't say my experiment was well planned. It was mostly chaotic and spontaneous. But I think everyone had fun and the children did a great job. I love their pictures. 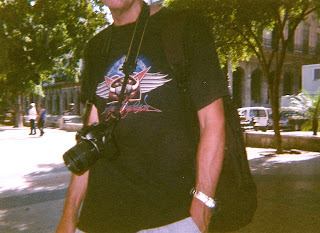 Someday, I'd like to take the exercise a step further: Give cameras to university-level student photographers and artists in Cuba and ask them to take pictures that are important to them and represent their world. Then pass out cameras to American college students and ask them to do the same. The photos could tell us a lot about how young people in both countries see their lives and the people around them. Photo by ? I don't know who took this picture. It may the same resourceful child who snatched the batteries from the disposable camera. Photo by Zhairis. Age 9. She's the rapid-fire "pop, pop, pop" girl. And that's me, without a head, which I'm sure is just how she wanted it. For loyal readers in skin-deprived nations, here are scenes from Playa Santa Maria, east of Havana. The dog has absolutely nothing to do with the other two shots. The pooch was hanging out at the nearby dunes and is included here merely to put a little distance between that other potentially blinding stuff. Next time you're headed to Cuba, be sure to leave those troublesome apples, oranges and Penthouse magazines at home. 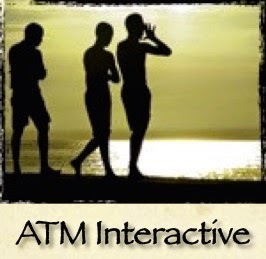 Articles prohibited from entry into Cuba include, but are not limited to, walkie-talkies, satellite phones, hand-held GPS equipment, televisions, VCRs, DVD players, freezers, air conditioners, stoves, water heaters, electric frying pans, toasters, and irons (i.e. any item that draws heavily on electricity). Fresh fruits and vegetables and pornographic material are prohibited as well. You don't always see those words in the same sentence. 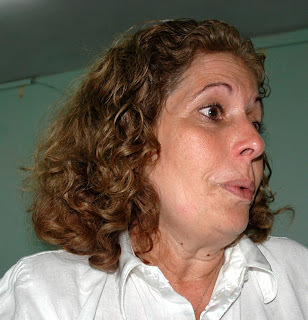 Wife of Cuban agent says she's "sadly famous"
Olga Salanueva said she never wanted to be in the public eye, but now her life revolves around an international campaign to try to free her husband Rene Gonzalez from prison in the United States. 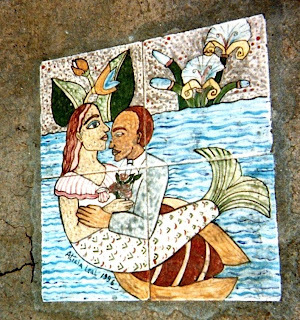 Her husband is one of five former Cuban agents whose photos are splashed across buildings, billboards and posters all around Cuba. All five agents are in American jails. U.S. officials say they formed part of Cuba's so-called Wasp spy network, which was active in Florida in the 1990s. 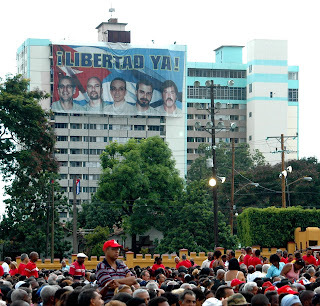 Cuban officials contend the five are "political prisoners" and should be released. The State Department calls that "misinformation," according to this report. Salanueva, shown above, told me in an interview that she only wants to be with her husband again. But U.S. authorities have not allowed her to visit him, rejecting her visa requests nine times and telling her the last time that she is permanently ineligible. U.S. authorities say they are justified in the denials because Salanueva and another wife of a Cuban agent, Adriana Perez, are espionage threats. Salanueva denied that during our interview, saying that she's not a criminal. (The complete interview with Salanueva is here, in Spanish. 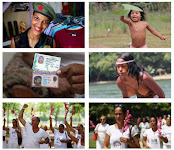 An interview that a New York Times reporter and I conducted with Adriana Perez is here and here). Salanueva, 48, said she entered the U.S. legally in the 1990s, arriving by plane. I didn't kill anyone. I didn't hijack a boat. I didn't hijack a plane. She said she believes that U.S. authorities deny her visa requests because they want to punish her and ruin her relationship with her husband. And she said that's when she feels a surge of strength. They've tried to do everything, but what they'll never be able to take away is our hope and our happiness. That's is ours and they're not going to get that. She and her husband's daughter, Ivette, was born in Miami in 1998 just four months before Gonzalez was arrested. The child is now 10 years old and her father remains in prison, serving a 15-year term. Rene Gonzalez was also born in the United States - in Chicago to Cuban parents in 1956. He returned to Cuba with his parents in 1961. The Cuban government says the five agents were spying in Florida to try to prevent violent Cuban exile attacks on their country. But in September, the U.S. Court of Appeals for the 11th Circuit upheld the convictions and sentences of two of the Cuban Five - Gerardo Hernandez and Rene Gonzalez, according to this report. The other three agents - Antonio Guerrero, Ramón Labañino and Fernando Gonzáles - are expected to be resentenced in a Miami federal court. The agents' lawyers, meantime, plan to turn to the U.S. Supreme Court and have until Dec. 1 to make their case. Another 2001 photo, below, shows Maruchy Guerrero, sister of agent Antonio Guerrero. Cuban President Raul Castro attended the opening of the first Russian Orthodox Church in Havana over the weekend. His visit is part of the Cuban government's efforts to improve ties with Russia, the BBC and other news organizations reported. Cuban officials may also be trying to show they are tolerant of religion. 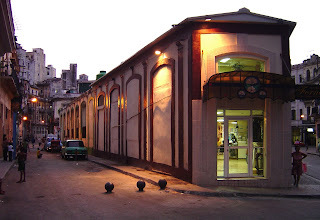 The State Department's 2008 Report on International Religious Freedom said Cuba "continued to place restrictions on freedom of religion." 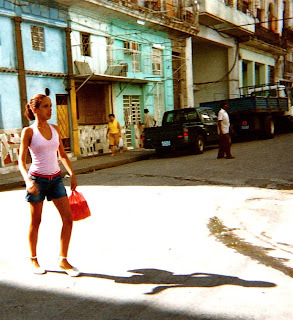 The Cuba portion of the Sept. 19 report is here and the full report here. Baptist pastor Raúl Suárez criticized the report, telling IPS that the State Department document shows "ignorance, falsehood and manipulation." Metropolitan Kirill of Smolensk and Kaliningrad attended the church opening and told reporters on Tuesday that he met with Fidel Castro for 90 minutes a day earlier, Cuban Colada reported. He is in full command of his senses, and I refer both to the past and the present. It is proof of his overall recovery and his inner strength. When he shook my hand, I felt much strength in his grip. 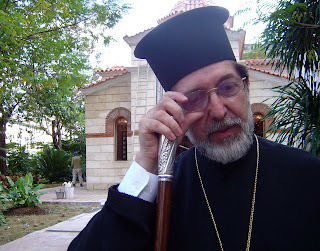 The meeting brought back memories of the opening of the Greek Orthodox Church in Havana in January 2004. That was the first opening of a new church in Cuba in more than 40 years, according to this report. The photos, three above and one below, show some of the scenes from that day. 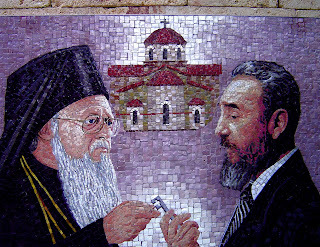 Note the tile mosaic showing Fidel Castro giving the key (apparently symbolic of the key to the church) to Patriarch Bartholomew. It's kinda funny - you know, peculiar funny. Cuban artists and entertainers this month are honoring a Cuban actor for his 15 years of making people laugh, often at the expense of the government, a Guantanamo newspaper reports. 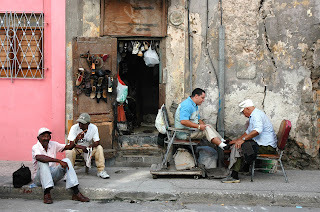 Miguel Moreno routinely takes jabs at Cuba's social and economic ills. For years, he has performed as part of a trio known as the Komotu group. 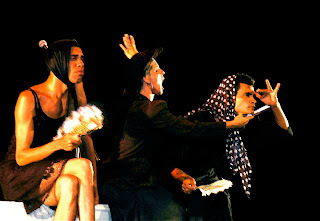 I saw the group one night and was a bit surprised at how freely the actors criticized the socialist system. Komotu is shown in the photos above. 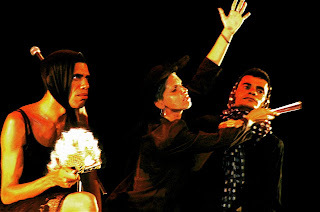 Moreno is at right, Alexis Ayala is at left and Yasnai Ricardo (alternate spelling - Yasnaya) is in the middle. Moreno said in a recent interview that the group hasn't appeared together much lately because Ayala is traveling, Ricardo is pregnant and he - Moreno, that is - is getting more involved in television. 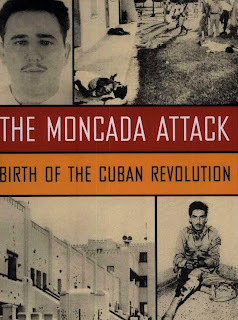 I've been reading bits and pieces of a 2007 book called "The Moncada Attack: Birth of the Cuban Revolution," by Antonio Rafael De la Cova. It's an impressive work, some 448 pages detailing Fidel Castro's failed attack that launched the Cuban revolution. On Mambi Watch last year, De la Cova listed dozens of his sources for the book and they included many Moncada survivors. 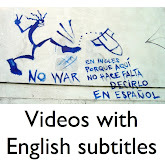 Mambi Watch said De la Cova, an Indiana University Latin American studies professor, had been chipping away on his masterpiece for some 30 years. I credit Antonio De la Cova for his dedication, although at the moment I don't have $59.95 for his book, which is why I'm reading pieces of it online. Anyway, in the book, described in detail here, the author writes of the role that many ordinary Cubans played in the Moncada attack. One such figure is Florentino Fernandez, then a 26-year-old orderly at a military hospital in Jaimanitas, west of Havana. Fidel Castro had decided early on that the Moncada attackers should disguise themselves as soldiers, so they needed to find some army uniforms. The book says that Fernandez pilfered from a hospital laundry most of the uniforms needed in the attack. He also bought some handguns on the black market. In the July 2008 photo, above, Fernandez recalls his role as he points to some of the old uniforms. 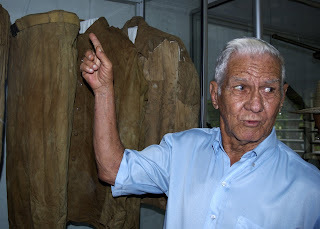 The uniforms, some of them still stained with blood, are on display at the Siboney farm where the rebels spent the night before the July 26, 1953, Moncada attack. The Siboney farm is not far from Santiago de Cuba. The Miami Herald reported in this 2006 story that it is a museum. Exhibits show how Castro's No. 2 man, Abel Santamaria, turned the property into a fake chicken farm, building coops to hide cars used in the attack. Weapons were smuggled in chicken feed bags, then stored in the farmhouse's ceilings and a well outside. Cuba has begun a new campaign to wipe out the mosquitoes that cause dengue fever, El Nuevo Herald said in this report earlier this month. 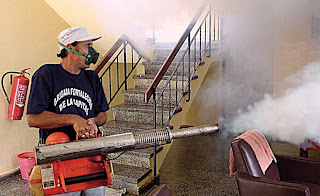 Cuba has been more successful than most Latin American nations in controlling dengue fever. There were no cases reported last year, Juventud Rebelde said in this story. 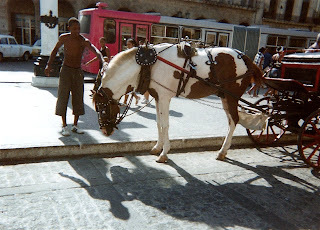 There was a nasty outbreak in Cuba in 2001-2002. More than 14,000 people contracted dengue and three died. 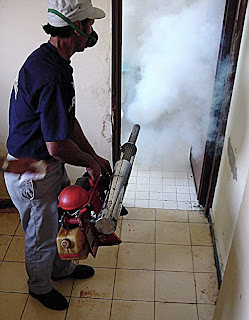 Workers went around Havana house-by-house spraying huge white clouds of who-knows-what chemical to kill any mosquitoes. I objected when they came to my house in Tarara because I couldn't get a clear understanding of what they were spraying. I eventually relented. The spraying left a fine white mist over everything, including dishes, glasses, etc. The spraying would make for an interesting study of collective vs. individual rights. People who don't cooperate with fumigation workers face jail time and fines. 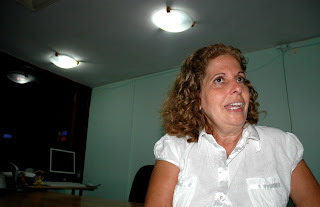 Dissident leader Martha Beatriz Roque, portrayed in this recent story, said the spraying made her sick the first time around, so she refused cooperate. Authorities arrested her four times. She was taken away and female security agents strip searched her after at least two of the arrests, she told me for a story in 2002. They do it to humiliate you, she told me. Quick fix possible for the U.S. in Latin America?